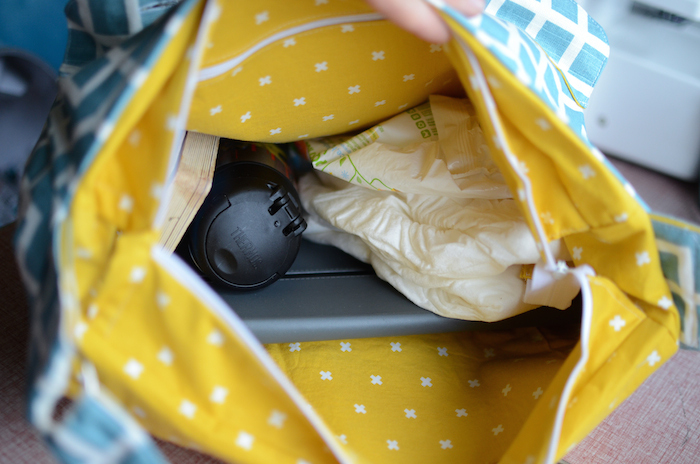 Hi sewing friends, Jess from If Only They Would Nap here, with my new Quilted Camera Bag that’s actually a diaper bag! 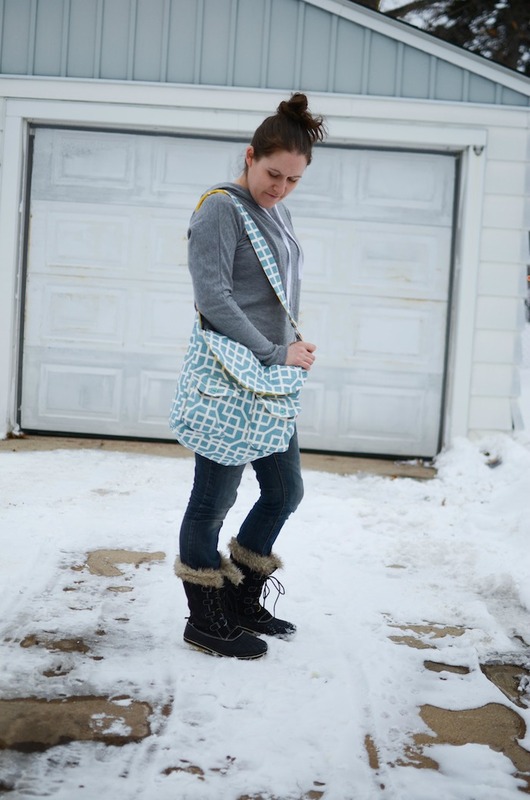 I’ve been itching for a new diaper bag, and I realized that the Quilted Camera Bag pattern would be just perfect, minus the camera padding. I can't even tell you how much I love this pattern. Well, maybe I can... it's amazing. I've been carrying it around for a couple weeks already and have gotten more compliments on it than anything I've ever made. In true Melissa form, the pattern is incredibly well done. The instructions are very clear. The pattern is a bit complicated (it's rated intermediate to advanced, and I'd say that's accurate), but if you're a fairly experienced seamstress, I think you could tackle it. Just give yourself a lot of time, as there are a lot of pieces and steps. 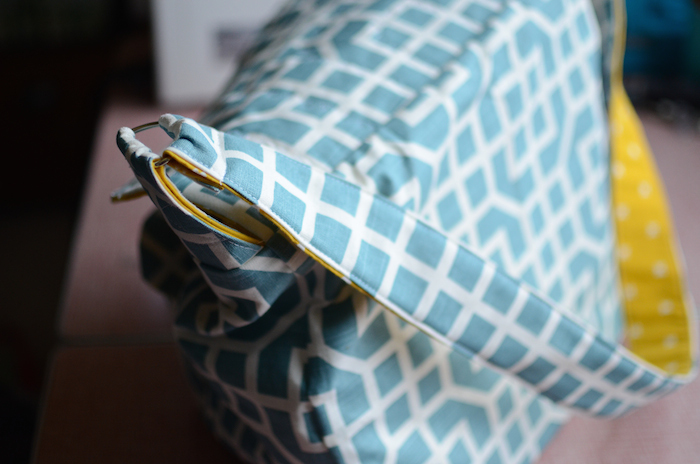 The pattern comes with two zipper pockets - one larger outside and one smaller inside. I ended up putting both of them inside the bag, because I decided I'd use it much more that way. The finishes on the bag are incredibly professional. Melissa guides you through everything, so even if you haven't made bag this complicated before (which I haven't!) you shouldn't have a problem. The strap in the pattern is designed to be adjustable, but I prefer them to be a fixed length, so I took about eight inches off and left off the slider. The length is absolutely perfect - it hits me at the right spot, and I can still wear it across my body (great for those times when you need to hold three hands at a time across a busy street). 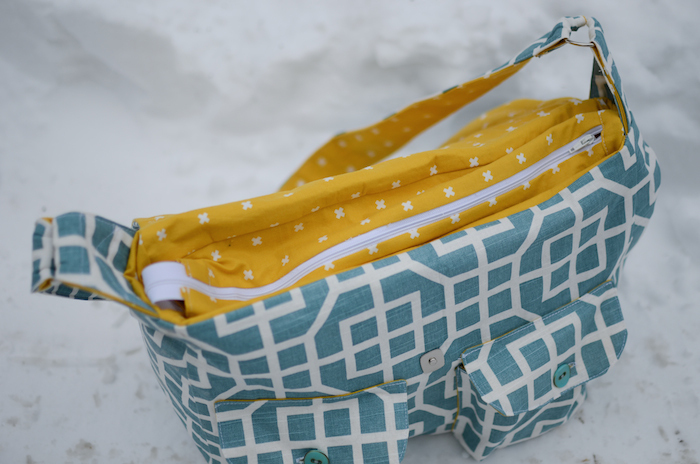 The pattern includes padding to surround your camera pieces and laptop, so if you'd like to use this pattern as a diaper bag or purse, just skip those steps (including all the velcro). 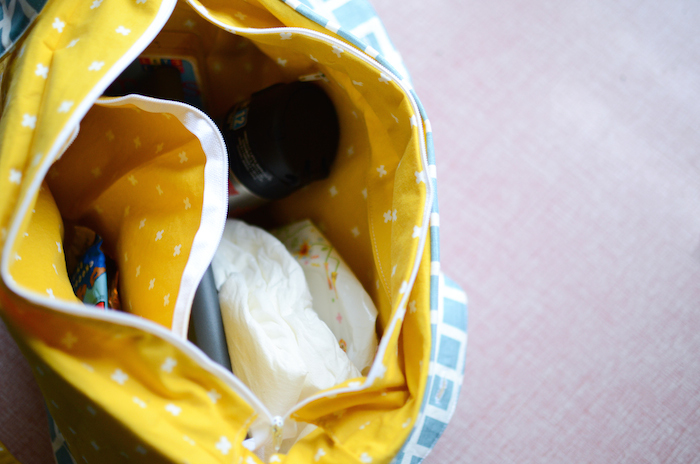 The bag is nice and roomy, so there's plenty of room for diapers, wipes, snacks, toys, or whatever else you might need. The front pockets are perfect for my sunglasses and my phone wallet. 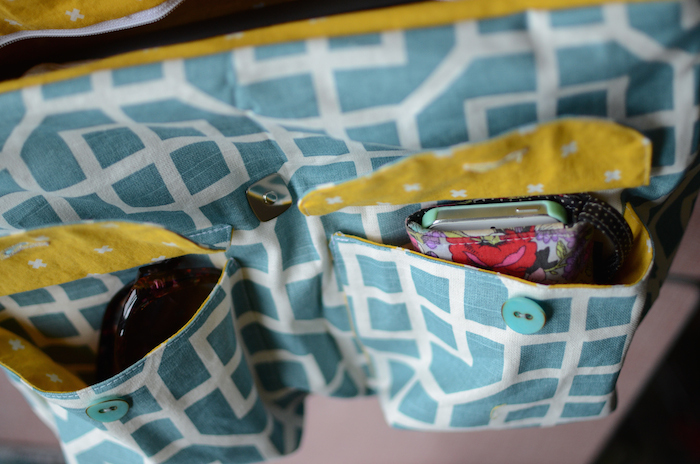 Though if I had to re-do it, I'd use magnetic snaps for these pockets as well, just so I can access the pockets faster while wrangling the kids. I used one of my decorative stitches for the first time to quilt the top flap, and I LOVE how it turned out. 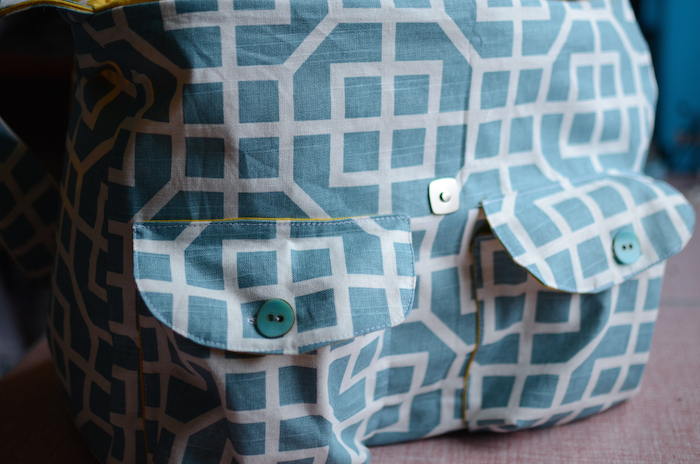 It adds a super fun detail to the bag! 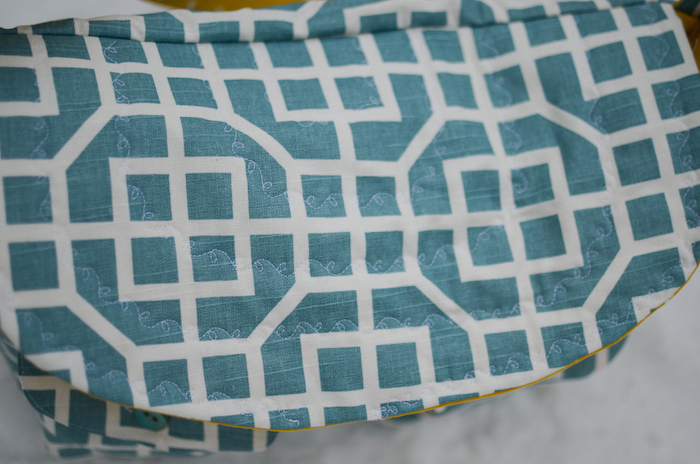 The lining fabric is Cotton + Steel (which I adore) and the outer fabric is a fabulous table cloth that I found on clearance at Target that ended up not fitting our table. I'm so happy with my new diaper bag. 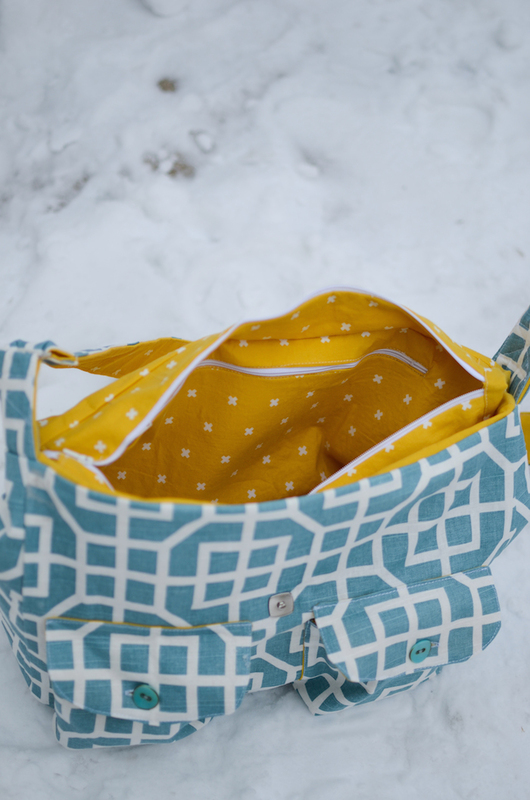 And the bright fabric adds some sunshine to our gloomy winter days! 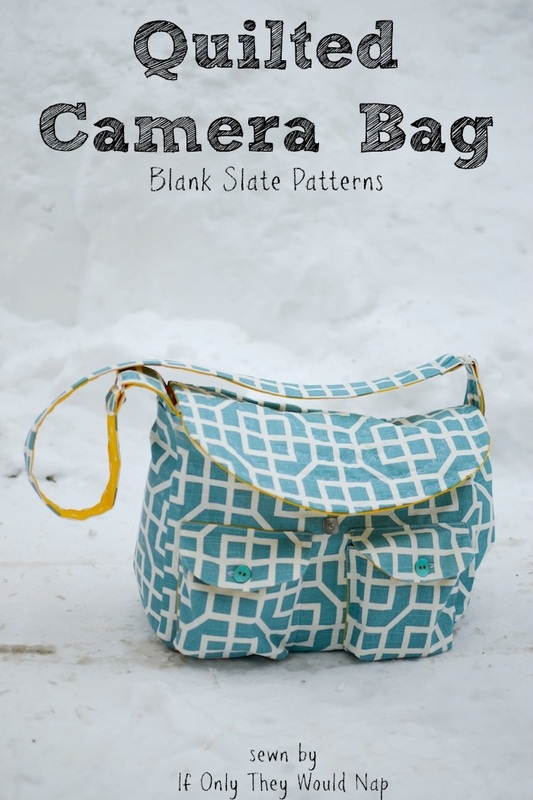 You can find the Quilted Camera Bag HERE in the Blank Slates Pattern shop. Happy sewing!